March 3, 2011: Put on your Running Shoes.... It's Marathon Time! with my special Co Host Joe McGasko! 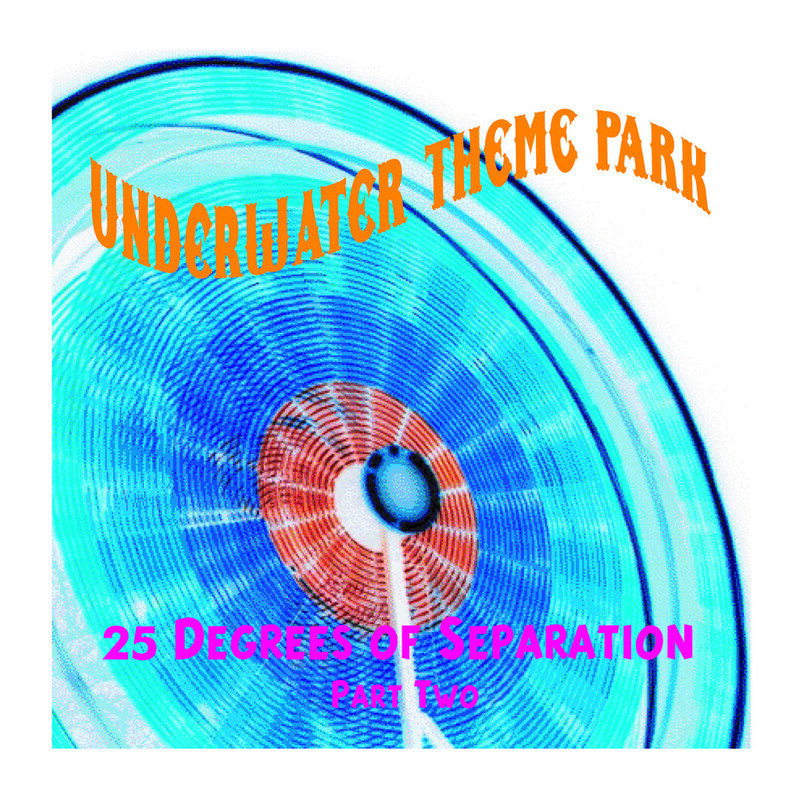 For a pledge of $75 or more, you can get Underwater Theme Park presents 20 Degrees of Separation, Part 2 A set of songs where each new song is a cover of a song by the artist who covered the preceding song. LCD Soundsystem I Can Change This is Happening Up for grabs for a mere $15 pledge! Roy Buchanan Mule Train Stomp Dancehall Stringbusters 2: Cruchy Guitar Instros from the 60's Up for grabs for a mere $15 pledge! Belle and Sebastian I Want the World to Stop Write About Love Up for grabs for a pledge of $15! Grinderman When My Baby Comes Grinderman 2 Up for Grabs for a pledge of $15 or MORE! Papa Levi My God is King An England Story -- From Dancehall to Grime: 25 Years of the MC in the UK Up for grabs for a pledge of $25 or MORE! and by 'hell no', I mean. Hell. Yes! BON "to the" JOUR ! awesome theme for a awesome 2011 marathon > pledge is on its way ! is Bosco running today ? Will all songs be titled just "Run" or can I expect Runnin' Away by Sly & the Family Stone as well? It's all running, but for 2 weeks! So if you don't here it today, it could be next week! Pledge is in! Run with it! Hello - Israel is here . global love. you should come to tel aviv. seriously. it's one of the coolest places on earth. I listen to fmu on my iphone app all the time when i'm out in the streets. I don't even know what music I have on my device, since I listen to nothing but fmu! I would love to go there! Represent Israel by pledging! Good morning Meghan. Just woke and .......oops, I've got to run. Ah yes! It was a great article! Thank you!!! oh crap no way yair yona - bill orkut in da toilet! awesome place! Ummm... Joe, I'm sorry for losing my credit card so many times last year and having you to change my details each time. well - it was shot by Fmu's very own Brian Turner, so I figured it fits. Bill fits anywhere. Yeah! I rarely win anything! i'm totally skint and gave $20 so come on people! i'm here... morning all ........... hi joe!!! Hey Annie! Joe has no computer, so he says hi as well! "velvet" would that be a good idea for a theme? and then follow it up with some phil spektor - what with that portrait Ken promoted - from Jorge! Strong Island via NYC via Insta-Pledge is in! I <3 listening via the Web! @Dave: You never cease to amaze me. @Elwyn - this was not the pledge you are looking for. That Novelty Songs 1914-1946 compilation is great! Come on Slovakia! I know I have not received a pledge from there! Somebody needs to adopt the role of official fruitcup and coffee server. I need a fruitcup! Dave B: Don't reck your stomach. I did that yesterday with a couple Americanos. Tea all the way! Meghan's chain songs are like chain smoking... only healthier. like chain mail, only stronger! volume 6 to be named 6 degrees of Kevin Bacon! Can someone serve bacon along with the coffee and fruit cups? bacon is the fruit of the pig. And if we use pancetta we'll have Italian, Dave! that'd have to be one muthaf*ckin charmin pig. I mean ten times more charmin than that Arnold. oh, and I forgot to give props to HotRod when I pledged. Looking forward to her return in June! yes you've mentioned the middle east. tel aviv etc. I appreciate the work that goes into programming UTP, not an easy task - trust me! Damn - I knew I wanted to send you one song from the old band..
Is the RUN theme going to continue next week? Wow..bringing back the mid-nineties nostalgia! @Meghan and Joe - DO IT NOW!!! I think my pledge fell between the cracks. you did it online? when did you send it? Where is it from? In keeping with the running theme, I've gotta dash. I've got resin casts and molds to deliver to CT. Pledge on! @Chuck: See you online sometime. what crappy movie was it? hey, are you talking about the rush movie? For my pledge, can i here by dub this the Bosco Board? You pronounced my name quite well on the first attempt - the t is not silent. Into Another followed by Weston!! Sorry about the delay. I was in the car when you played it. There's a small pledge coming your way rght now, but I'm saving up some money for next week. Wow, amazing Vilgot! And no, no calls from Jamaica! Mim, sadly if you pledged during Bennett's show, I don't get that one! Good Morning Meghan and all FMU'ers, might I recommend the Mouse for life pledge? $1 a day for life, I gave up Star***cks and it was totally worth it. You can afford this!!! I think it was Richard from Venezuala who adopted Bosco after I mentioned Bosco during Keili's show. Hugs to BOSCO...he's my man!!! Can you play "MARATHON" by Rush? Why no Rush- Marathon Man??? You should do it for your husband! Oh, i work with Jeff... Every Thurs morn.. have to put up with Meghan! run rabbit run by Smack - great song. $1M? I'll get right on that! I think I have that in my paypal account. @Dave: I think you'll like these photos. They are my photos to gain membership to the 501st. OK if no Rush, how about Triumph "Running In The Night"
How much $$$ would we need to get Meghan to sell out and have an all-Rush set? Or... if no Rush or Triumph, how about Helix "Running Wild in the 21st Century"
Trying to entice those Cannucks Jeff P! NO RUSH! If I wanted to hear Rush I would go driving around with my boyfriend right now-this is my haven, my Rush -FREE safety zone!!! I hope my insta-pledge came in. I don't hate Rush but I am interested in knowing how much it costs to make people compromise. If Joe Satriani can make a compromise with Coldplay's lawyers, surely Mr Donald Trump can pledge to see how much it'll take to get Meghan to play that Rush set. who wants to pool money to do the all-rush show? Basic pledge boy in Albany wants some pimply faced high school era RUSH! OK, OK, OK - if no Rush, Triumph or Helix - how about Prism "Nickels and Dimes"? I think Meghan needs to do an all cartoon theme songs show. Hello Elwyn I hope your doing well. yum.............tim hortons coffeeeeeeeee.....i'll show up! Can you post the UTP marathon map after next week's show? Loverboy AND April Wine? Heck yeah! WFMU white Loverboy style headbands - swag suggestion for next year.